Nicki is wearing her Four Season Skirt with a simple, red turtleneck made from the Jumping Jack pattern (also by Oh Sew Kat!). Make a simple necklace for your doll with chains and charms from the jewelry department of your favorite craft store. Isn’t Willa cute in her sister look? 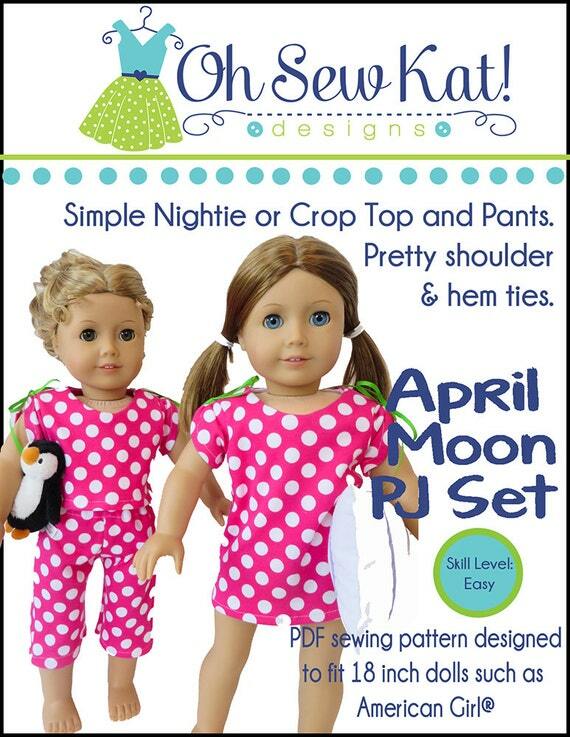 Both the Four Season Skirt and Jumping Jack patterns are available sized for smaller dolls too. I used my cricut maker machine to add a sparkle heart to the front. 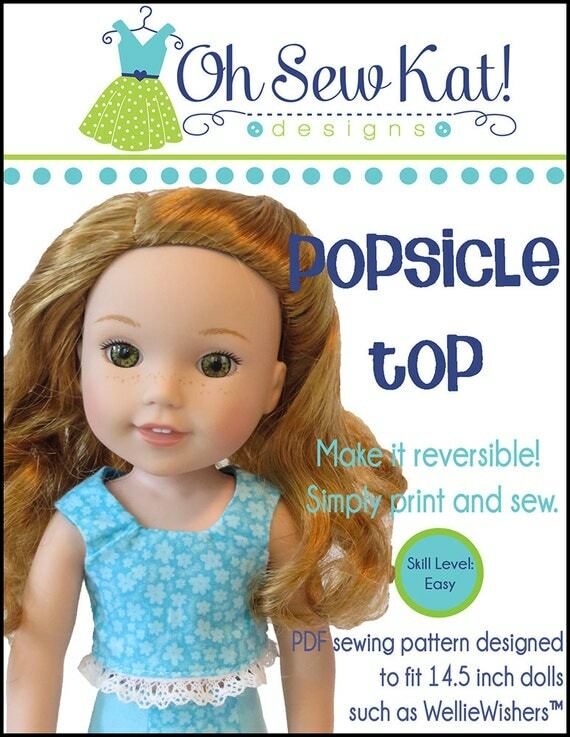 It’s quick and easy to decorate doll tee shirts- check out this simple TUTORIAL. Interested in cricut products and learning more? 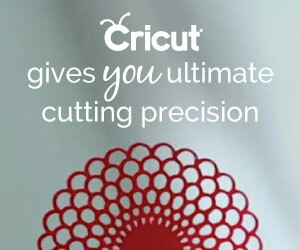 Check out their website here: AD: cricut.com. Which dolls have your heart? I know they would just love a pretty Valentine themed skirt that you made with your own loving hands. Happy Valentine’s Day from our dolls’ home to yours! 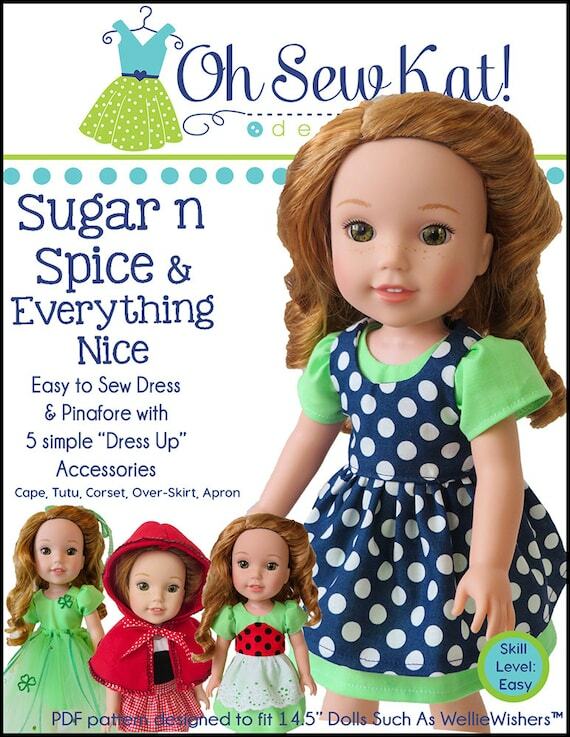 Blaire Wilson is the newest doll made by American Girl®. She is the 2019 Girl of the Year doll- which usually means she and her collection are only available in 2019. The GOTY creates a fun buzz in the doll community as her collection is unveiled. Blaire’s a NY girl- living on a farm to table Bed and Breakfast. Make a bee skirt for Blaire with the Four Season Skirt free sewing pattern. 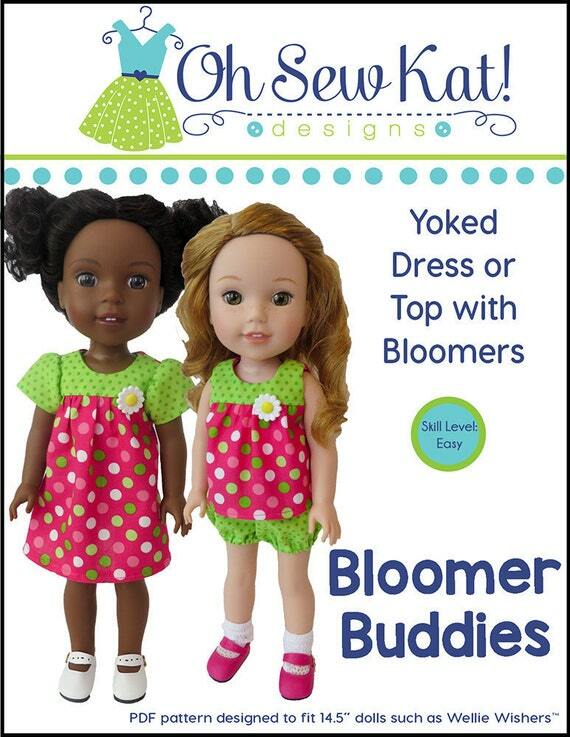 When you purchase your 18 inch dolls, they come fully dressed in what is called their “meet” outfit. Blaire’s meet outfit is a cheery white sundress covered in bumblebees and purple sandals. Our January weather is a little chilly, so I got to work to create an outfit she might find a little more comfortable. The Jumping Jack 3 in 1 jumper set includes the pattern for a universal, knit turtleneck shirt. This go to staple fits any doll’s wardrobe, and can be worn with all kinds of outfits from jeans to skirts. I found this adorable bee fabric at Hobby Lobby, and used the Four Season Skirt pattern (find it FREE HERE) for a quick project! The Four Season Skirt is a great beginner project, especially for girls that want to learn to sew. It doesn’t use pattern pieces- just measure out two rectangles of fabric and some 1/4th inch elastic and off you go! Blaire is much happier in a warm shirt and boots! See more about Blaire HERE, and find lots of ideas for her wardrobe in the Inspiration Gallery. Here is a closer view of her daisy necklace. The local craft stores have wonderful selections of charms and beads in their jewelry and scrapbooking sections, at a very low price point. These little ball chains were already precut (key chains? ), but you can easily cut your own from a roll, so I just put the daisy on it and completed Blaire’s outfit. Find bee themed charms online here: AD: https://amzn.to/2CUZVsg and the keychains here: https://amzn.to/2VyJSaO. 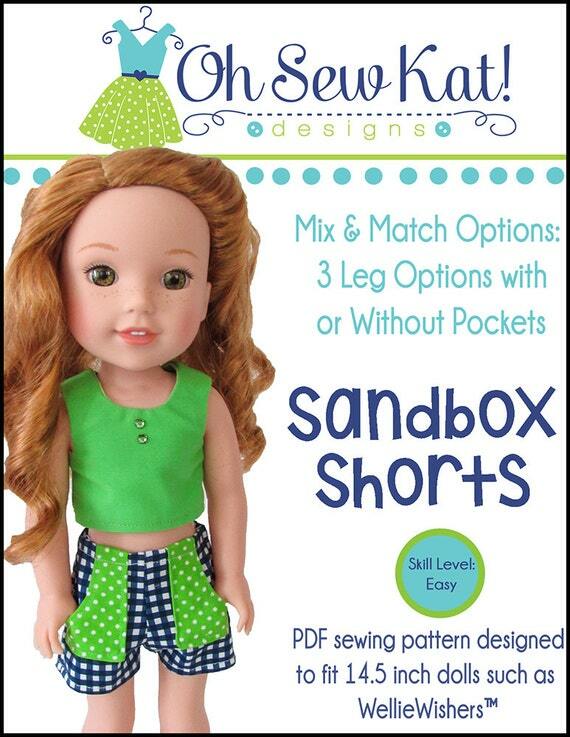 Now available in my Etsy shop– the summer favorites for A Girl for All Time dolls- the Sandbox Shorts and Popsicle Top. Buy the bundle together, and get the Four Season Skirt pattern FREE! You can use THIS TUTORIAL to put the pockets on the inside of the shorts. Find the pattern bundle HERE. This bundle also includes a BONUS skirt pattern, The Four Season Skirt. These patterns are also available in other dolls sizes, like 18 inch dolls, Animators, Wellie Wishers and Bitty Baby in my Etsy Shop. 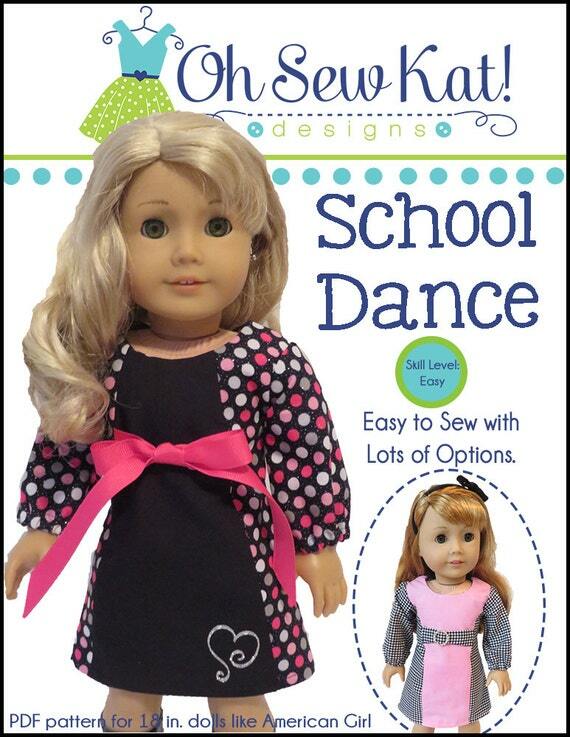 What will you sew for your doll today? The Four Season Skirt: The perfect doll skirt for every season. 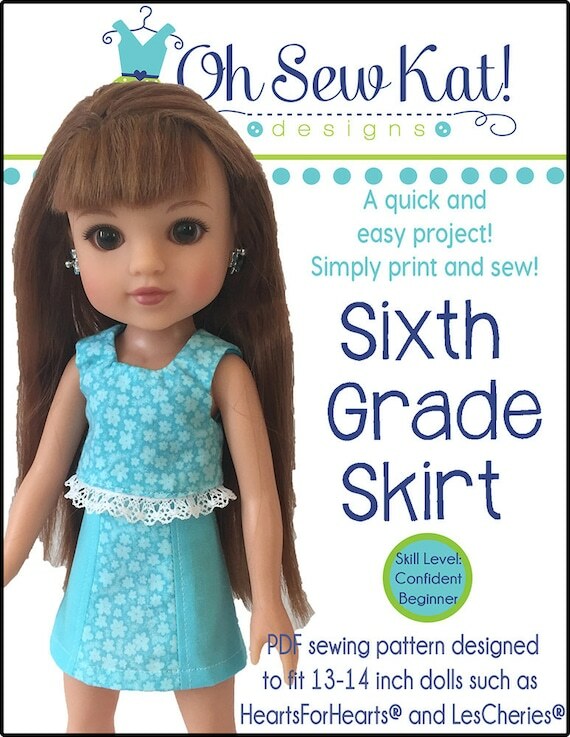 Free 18 inch doll skirt sewing pattern: The Four Season Skirt from Oh Sew Kat! Easy to sew without any pattern pieces, the Four Season Skirt is the only one you need all year long! This pattern is FREE when you sign up for my email list in 3 sizes (WellieWishers, American Girl, and Disney Animators). Add tulle, make it longer, try some lace… it’s perfect for every occasion!! 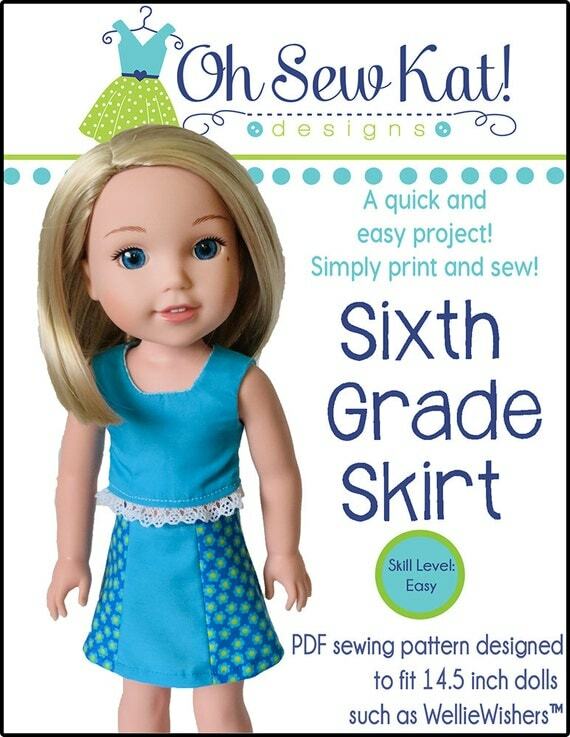 Winer: Make a winter themed skirt for your doll with a matching sparkly shirt. You can find the snowflake tee shirt tutorial HERE. Spring: Your doll will be ready for warmer weather in her Four Season Skirt. Summer: Add a reversible POPSICLE TOP to the skirt for a cool and casual summer outfit. Fall: A long sleeved tee and high boots are the perfect match for a fall themed casual skirt outfit. Get your copy of this FREE easy pattern in 3 sizes and see even more ideas to make it HERE. How will you make your Four Season Skirt? 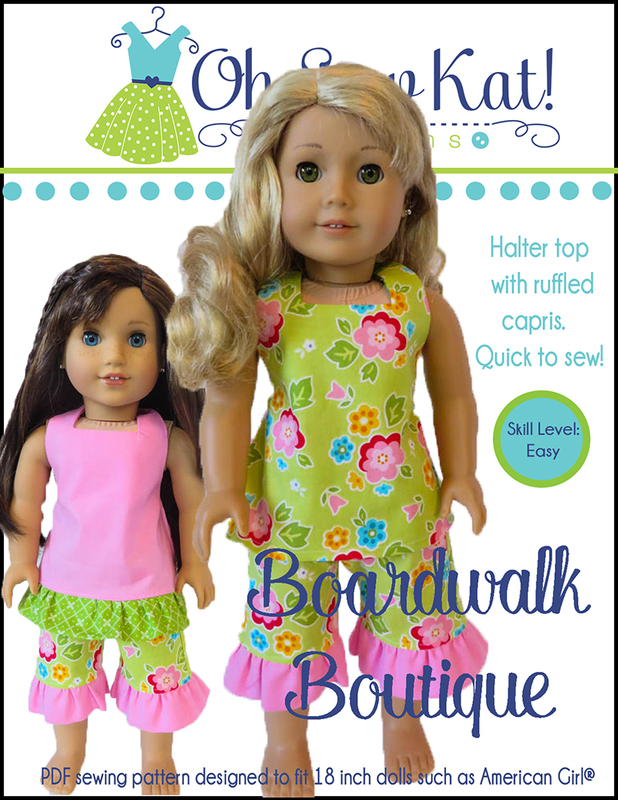 Enjoy these adorable outfits made by Shirley Fomby of DollClothes by Shirley on Etsy. 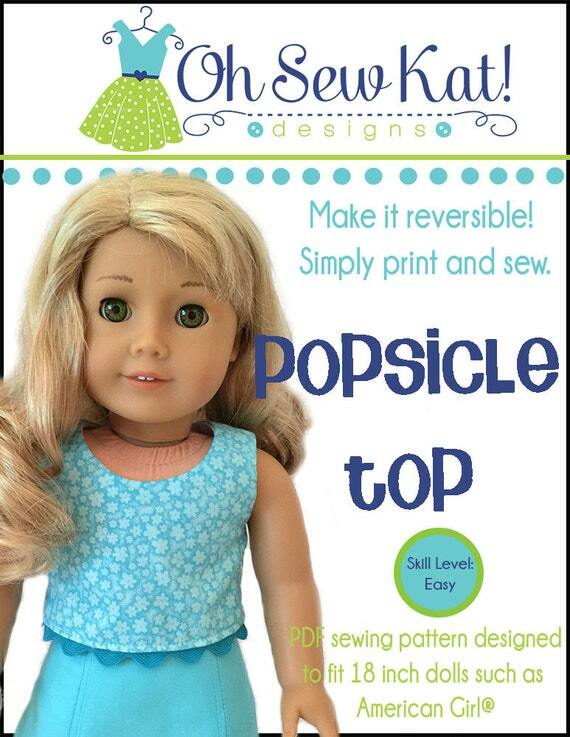 She used the Popsicle Top pattern with the free pattern, Four Season Skirt. Aren’t they ready to find some leprechauns? Find the Popsicle Top in my Etsy shop and sign up for my email to receive the Four Season Skirt patterns. 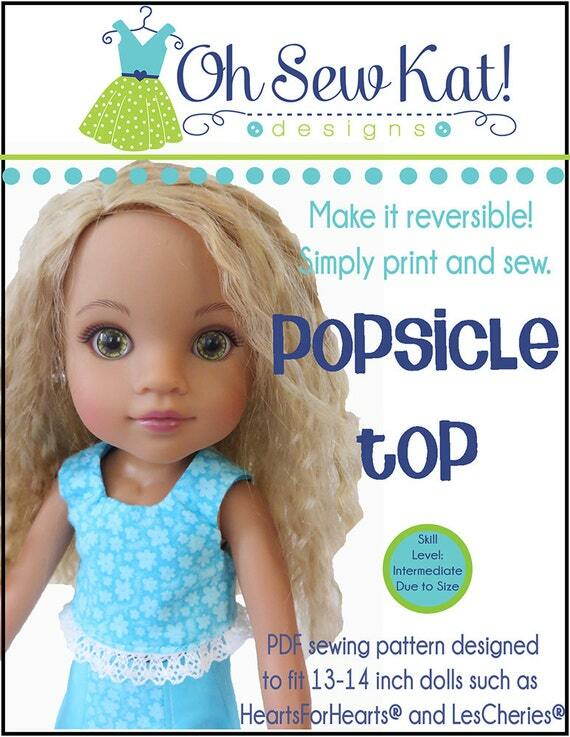 See more Popsicle Tops for Wellie Wishers, and find more ideas to sew your own doll clothes in the INSPIRATION GALLERY. It’s easy to make these adorable, country and western inspired outfits for your dolls like Tenney Grant or any of her friends! I bought this cute bandana fabric at Walmart. They offer it in fat quarters in quite a few colors. I wanted to make some country and western inspired fashions! I started with the simple peasant top in the Playtime Peasant Top pattern. I made one top with short sleeves, and two others with long sleeves. Both are included in the pattern. I made both skirts here using this TUTORIAL and the FOUR SEASON SKIRT. Mix and match your denim and lace layers to create your own style of skirt! 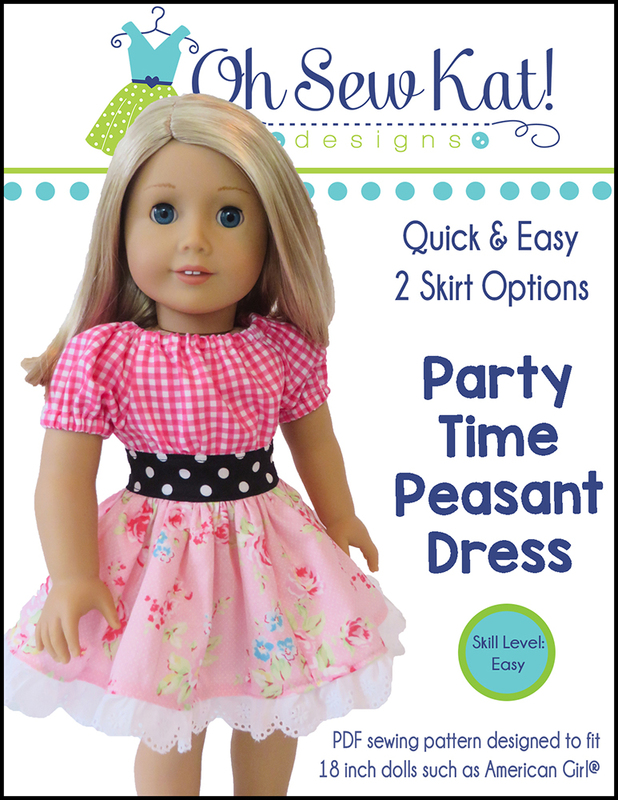 You can also use the skirt pattern in the Playtime Peasant Top and Twirl Skirt. They are very similar. I added an easy elastic belt to complete the look. The hat and boots are from American Girl® and belong to the Nicki Fleming GOTY collection. I simply cut a triangle of fabric from my leftover scraps for the pink bandana, and dressed my dolls with hats and boots. I think they look ready for some square dancing, don’t you? Today I’m sharing a little inspiration for some happy heart sewing. It’s almost Valentine’s Day! These outfits were stitched by the Oh Sew Kat! testers. These wonderful ladies help me make sure that my PDF sewing patterns are ready for you, the customer. I just love how creative they get with each pattern! Share the love with your little friends and stitch one up today! Each outfit can be made using just fat quarters of fabric and a single afternoon. 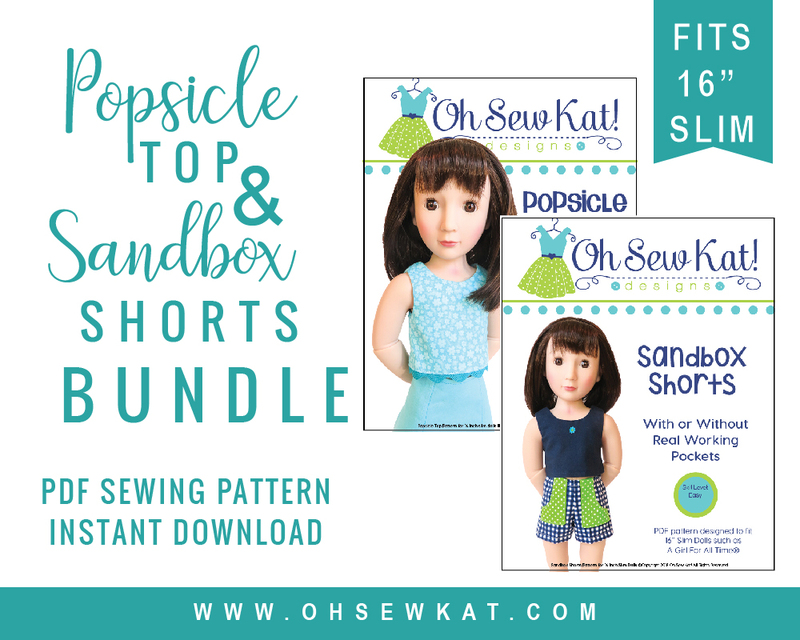 SHOP FOR OH SEW KAT! PATTERNS ON ETSY. Look at the details!! Such a pretty outfit!! 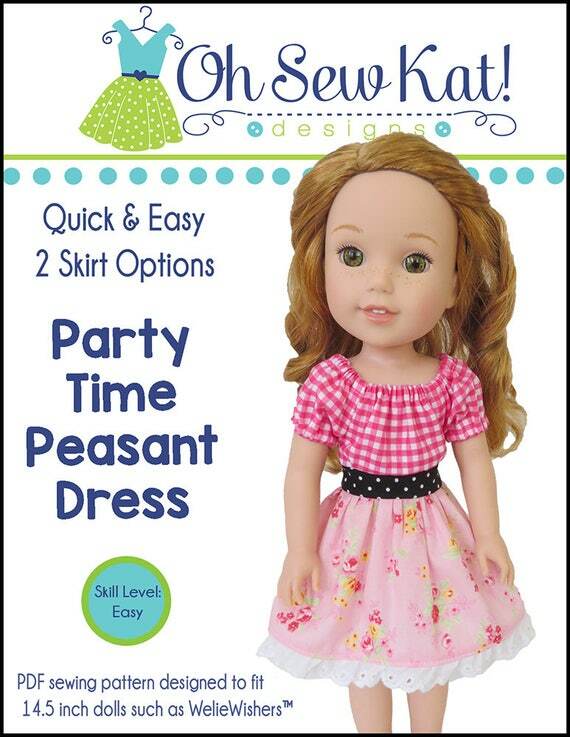 This is the Party Time Peasant Dress for 14.5 inch dolls. 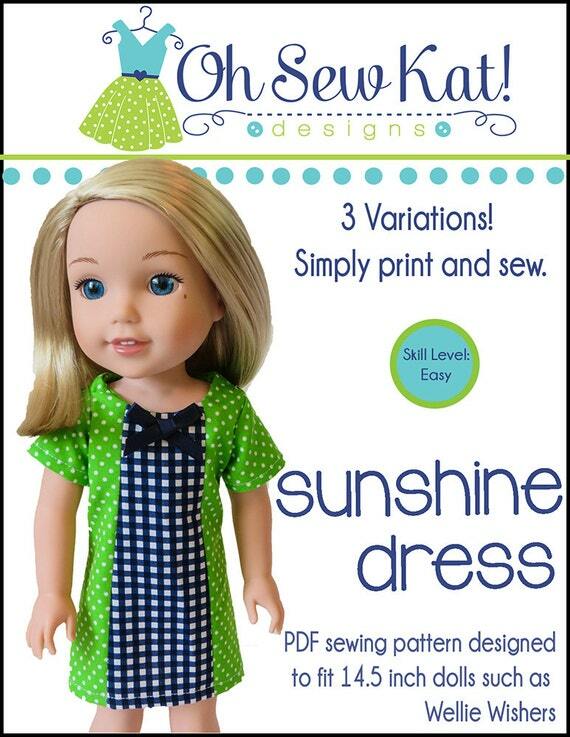 This pattern is available sized for 5 different popular dolls! 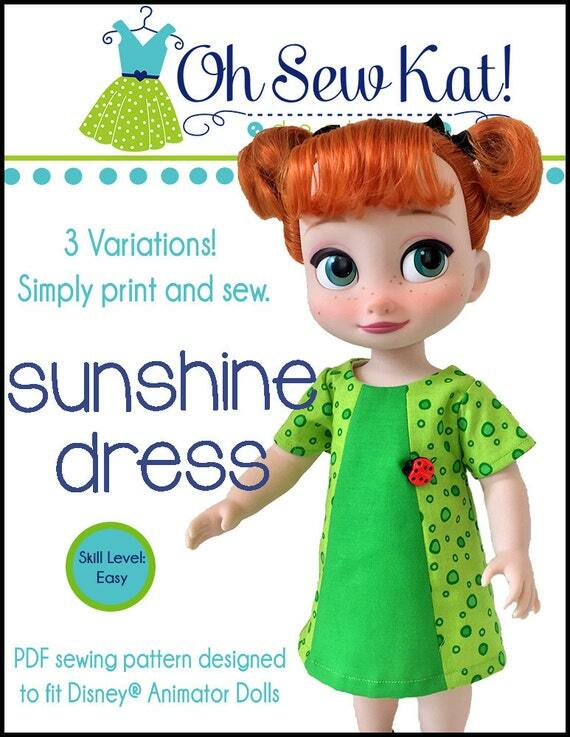 Emerson’s adorable one piece dress was sewn by SewDolledUp81 on Etsy. The Pearl Pony is known for her boho style! 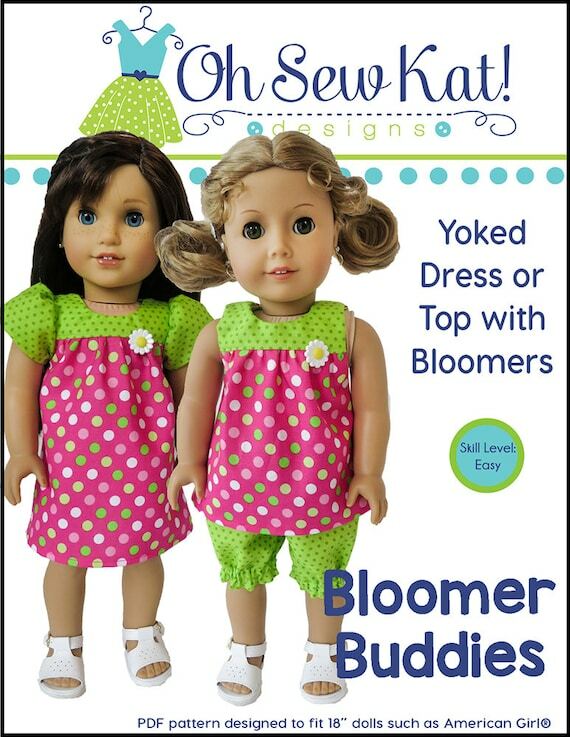 She did an amazing job with this Bloomer Buddies dress. It’s all in the details- take a basic pattern and make it truly your own! The Wellie Wishers dolls look amazing in reds and pinks!! Here Kendall is wearing a Sugar n Spice white dress with a holiday apron, and Ashlynne has on a Four Season Skirt and Popsicle Top. 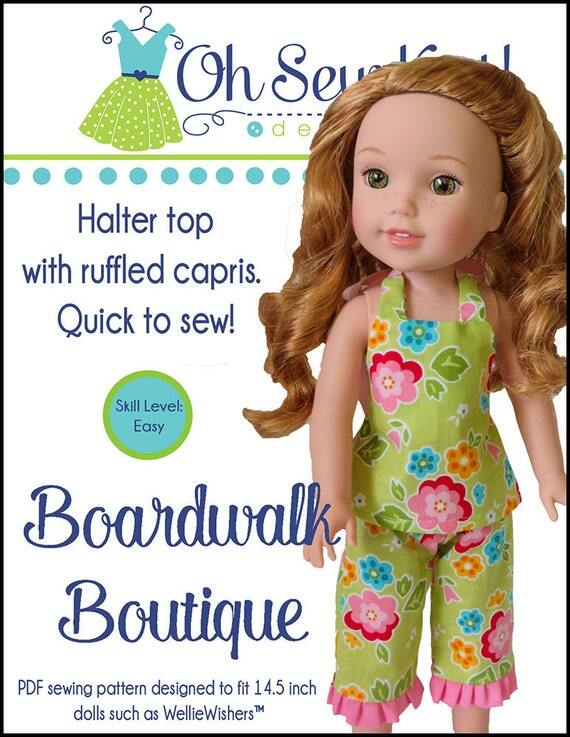 I used the Playtime Peasant Top and Twirl Skirt PJ Top with Boardwalk Boutique pants to make these snuggly Valentine pajamas for Grace. . Mix and match pattern pieces for even more fun! How cute are these HalterAlls by The Pearl Pony? Find her on facebook to see what she is up to lately! What are you sewing this Valentine’s Day? Visit my Inspiration Gallery page to find lots of ideas for all the Oh Sew Kat! patterns. See more Valentine inspired outfits here and here.